following a road mishap while travelling to Imo state. 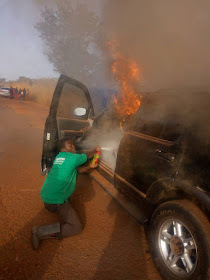 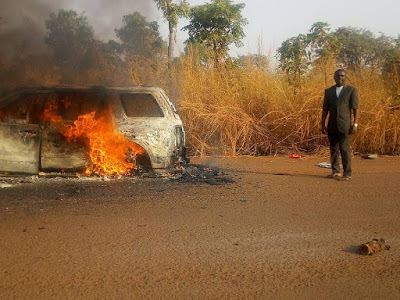 One of the pastors, Evangelist Sunday Okafor, explained that he was travelling to Imo state for a program in his Ford explorer SUV along with two other pastors on Friday, December 28th, when the fire broke out from his seat. The occupants escaped from the vehicle before trying to quench the fire all to no avail. 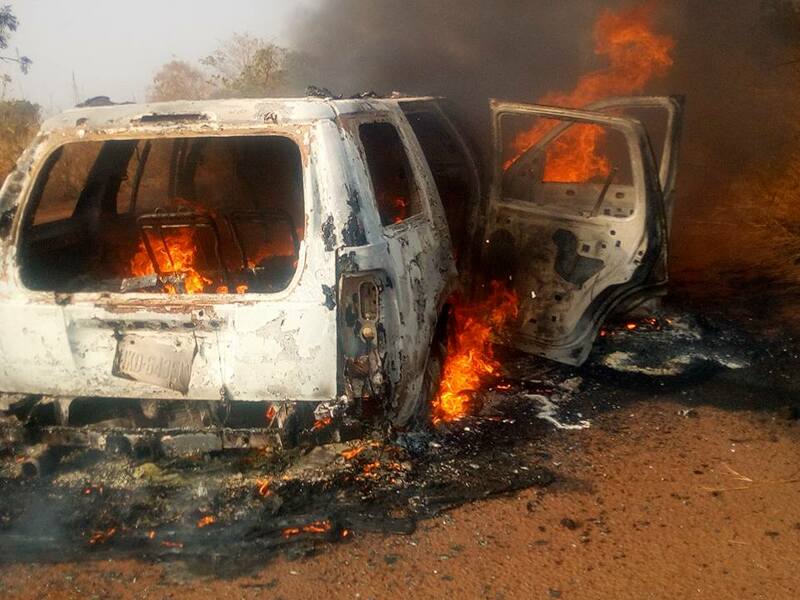 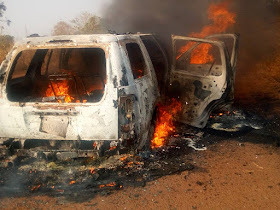 The SUV was burnt beyond recognition as can be seen in the pictures. 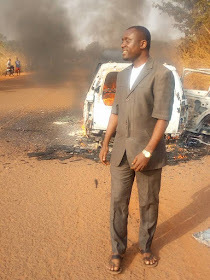 Evangelist Sunday Okafor who lives in Makurdi, shared the experience.